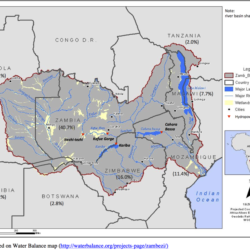 While Ethiopia is one of the countries with the highest hydro-power potential in Africa with 45,000 MW, only about 5% has been exploited. 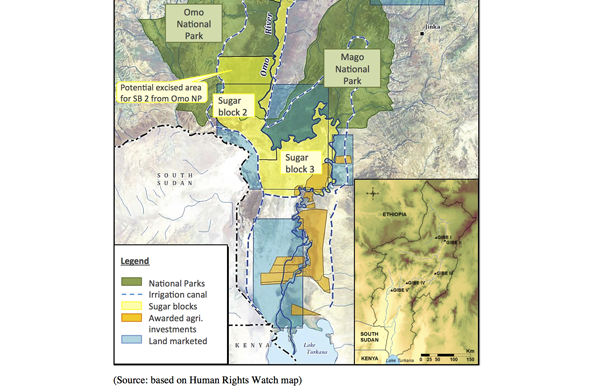 To satisfy energy and water demands and enhance the national economy, the Government of Ethiopia is developing the Gibe Hydroelectric Cascade scheme (4,600 MW) and the Kuraz Sugar Development Project of about 175,000 hectares in the Omo-Gibe basin.These developments will alter the natural flow and sediment regime, thus leading to changes in the temporal and spatial water availability in the Lower Omo Valley and Lake Turkana, the inflow of which largely depends on the Omo River. The DAFNE project will identify sustainable solutions analysing the trade-offs among the key water uses for hydropower, irrigation and the environment. The first stakeholder meeting in the Omo Basin took place in February 2018, bringing close to 20 participants together to take part in the meeting. Stakeholders were drawn from various organisations responsible for water management in the Omo Basin. Honourable Dr. In. Seleshi Bekele, Ethiopian Minister of Water Irrigation and Electricity opened the meeting and emphasised the importance of water as a key resource for economic development. The stakeholder meeting was followed by the Negotiation Simulation Lab where stakeholders from both the Omo and Turkana basins got to explore in more detail the issues as well as the current and potential solutions for addressing resource management challenges in the WEF Nexus. DAFNE’s first local stakeholder workshop for the Omo-Turkana River Basin took place in Jimma, Ethiopia on November 3, 2018. Representation was drawn from government officials, academia and Water User Associations. Twelve participants took place in the workshop. The overall goals of the local stakeholder’s workshop were to familiarise stakeholders with the DAFNE project and to discuss pertinent issues in the basin regarding the WEF nexus. The workshop saw participants putting together key sectoral challenges, issues, opportunities as well as suggested solutions. A performance analysis on the WEF nexus in the basin showed that there was poor planning, implementation, monitoring and evaluation of large-scale development interventions. The group also demonstrated that there is poor documentation of data and best practices. The key issues identified by the group include problems related to the implementation of existing policies, absence of policy frameworks that guide effective and efficient development infrastructure and poor review and updating of policies. DAFNE researchers looked at how development in the basin has affected ecosystem services in the basin. 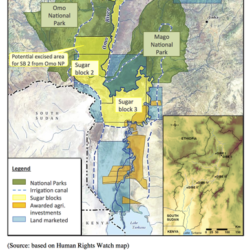 A comprehensive compilation of the ecosystem services in the Omo Turkana was drawn up to feed into the modelling studies that will further elaborate on the relationship between the hydropower and irrigation developments in the basin, and ecosystem services. DAFNE will host follow up Negotiation Simulation Labs in both basins in July 2019 with the objective of providing an opportunity to share results of the actions, indicators and solutions identified at the first NSL meetings. Stakeholders will get to test initial prototypes of DAFNE’s multi-perspective visual analysis tool and the Geoportal, which will include a data catalogue, interactive maps and dynamic charts. Stakeholders will learn more about the functionalities of the tools and will have the opportunity to provide feedback to improve the tools.